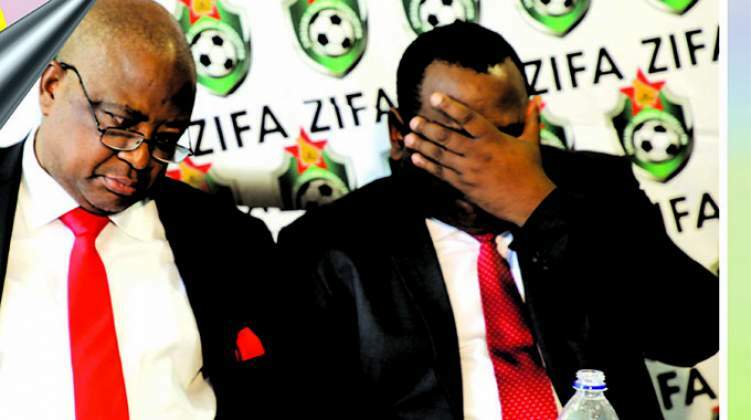 ZIFA president Felton Kamambo has accused former association boss Philip Chiyangwa of destabilising the association, alleging that the businessman held a meeting with some board members, where they discussed the agenda of the board meeting on Wednesday. Chiyangwa, who was beaten to the post of Zifa presidency by Kamambo in polls held on December 16 last year, is accused of having an influence in the changes Zifa vice-president Gift Banda announced last week. Banda announced the appointments of Tonderai Ndiraya and Bongani Mafu as new assistants to Warriors head coach Sunday Chidzambga without the knowledge of fellow board members and Kamambo, who was away to Senegal. Those who attended the meeting include Banda, Chamu Chiwanza, Barbra Chikosi and Sugar Chagonda, while Premier Soccer League chair Farai Jere could not make it to the meeting. Kamambo said yesterday he had made it clear, even in his election manifesto, that those individuals who violated the constitution would be punished severely. Banda's matter was put to vote on whether he should be suspended or let off the hook. Four of the board members voted in favour of his suspension, while two were against it. Banda was then subsequently suspended. The Zifa president said he would engage Chiyangwa on his continued interference in the running of the game. "I am going to meet him (Chiyangwa) personally. We are not happy with his continued interference in the running of the game. All this undermines our efforts to try and rebuild the Zifa image and provide a conducive environment for potential sponsors," Kamambo said. "We will not allow this to continue. Imagine, the team is just 90 minutes away from qualifying and someone just announces changes to the technical team without consultation." Chiyangwa dismissed the allegations yesterday. "That is false. I don't want to comment further than that. I no longer have anything to do with Zifa," he said. Banda's suspension is effective until the next Zifa congress, where it will be discussed. The soccer controlling body might, however, institute further disciplinary proceedings before congress. Kamambo said the board had suspended Banda to show that it was serious about constitutionalism and the rule book.